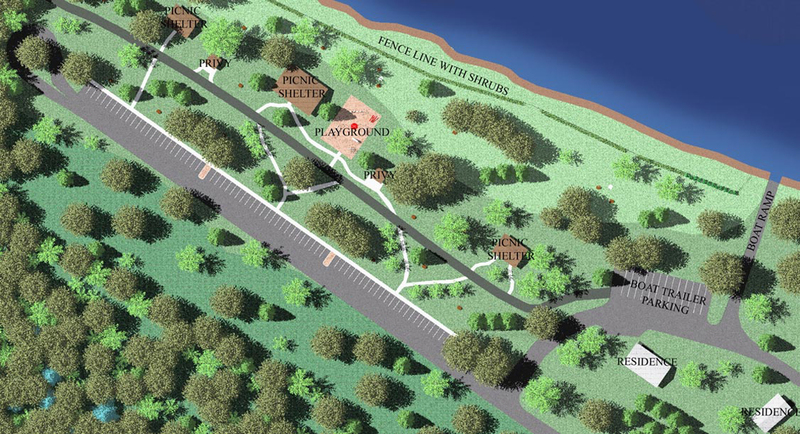 We provided design and construction administration services to the State of Illinois for the creation of this accessible recreational area on previously vacant land fronting the Sangamon River. We developed a site design which minimized regrading and allowed for the existing natural vegetation and drainage to the river to remain. New facilities were located to prevent tree removal. Site amenities include picnic shelters, toilet buildings, playground, pedestrian trails, lighting, electric/water service, and parking.